Mick E. Moose got the call he had long waited for on October 7, 2011 when he was called up to the NHL to represent the newly moved Winnipeg Jets as the official team mascot. 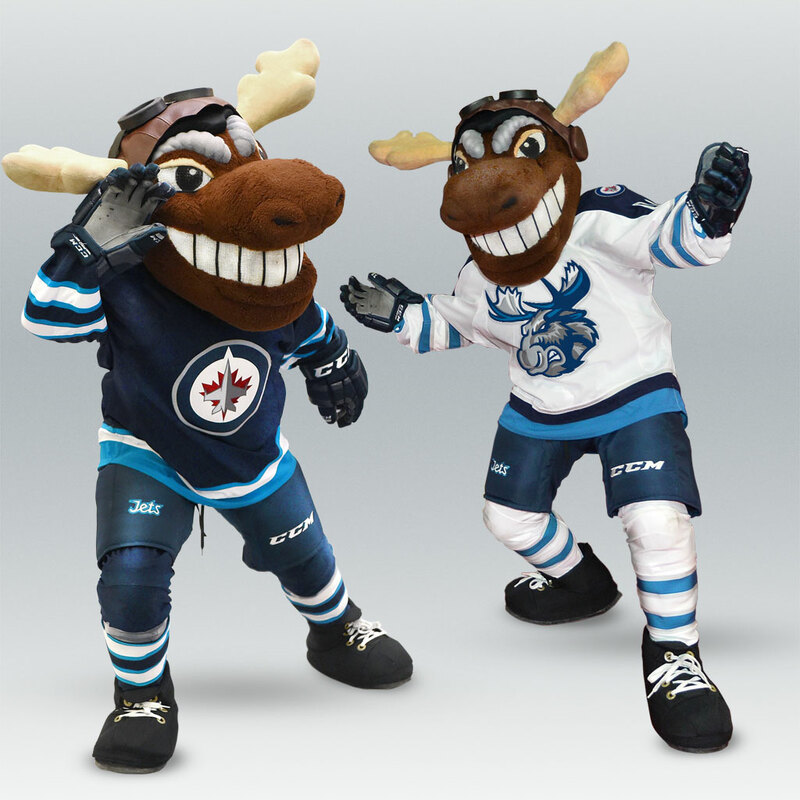 Then, on April 5th, 2015 he received the exciting news that his beloved Manitoba Moose were relocating back to Winnipeg, MB for the beginning of the 2015-16 hockey season. Not long after that it was formally announced on his twitter account that he would perform double duty at both Jets and Moose games. What foods do you eat before a game to get you pumped up? I need to stay hydrated, so I drink plenty of water before a game. It’s important to eat a meal with a lot of nutrients, so I like to eat big salad of greens, with a lot of nuts and fruit mixed in to give me those extra nutrients. It’s not hard to get pumped up for a game. Just thinking about stepping out in front of 15,000 hockey fans makes my skin tingle. My job itself is enough to get me pumped up for a game. I am nervous before every single game, but I use that nervousness to fuel my energy. I just remind myself, “You have the best job in the world” and it helps me focus on what I need to do. Where’s your favourite Manitoba hot-spot to hang out with your friends? I always enjoy heading back home to Sandilands Provincial Forest. There is so much forest, wetlands and sand hills to roam around in, I never get bored, and it’s always good to be home! If you weren’t a mascot, what would you be doing? I was born to be a mascot. I have never really ever considered a different career, because I have known for as long as I can remember that I would be a mascot. It’s the best job in the world, and without it, I would be lost. I wouldn’t trade my place for anything in the world. I get to be the mascot for the best team, in the best league, in my home province, with the best fans in the world. There is nowhere else I would rather be. To request an appearance by Mick E. Moose at your event, please fill out the Mascot Appearance Request Form here.